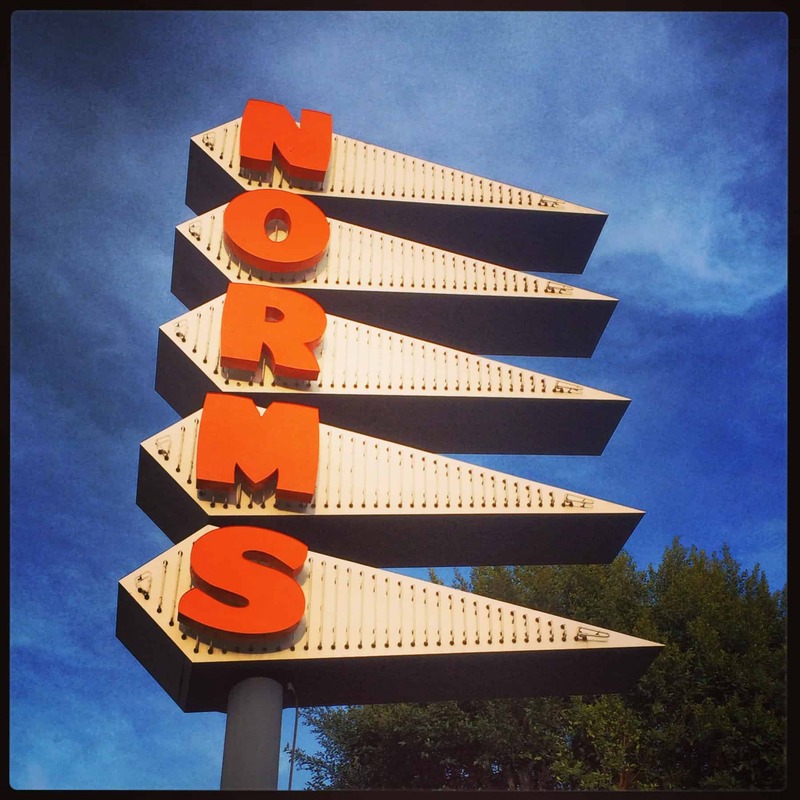 Norms L.A. – They Never Close – phew! 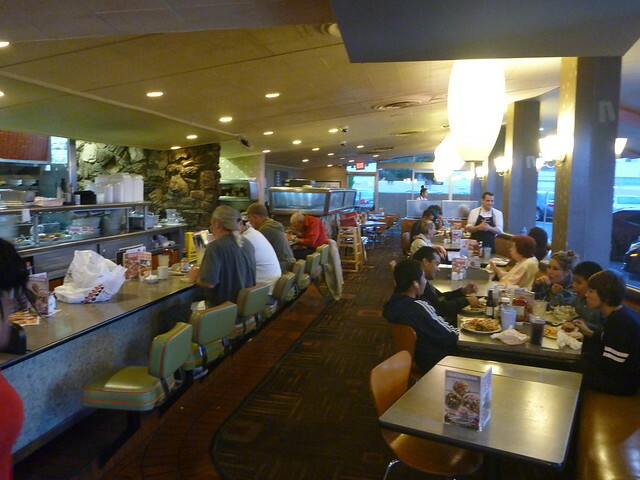 "Hands down, Norms is the best diner/coffee shop in Los Angeles." Since 1957, the original old school location on La Cienega Blvd between Melrose Ave and Santa Monica Blvd has been the 24/7 destination for breakfast and American comfort food anytime. And nothing, even greedy land developers, can change that. Of course Norms is now a SoCal (short for Southern California) tradition with 18 locations and the a slew is cheesy funny TV commercials. But I'm focusing on the one and only original restaurant. What makes THIS Norms the best? Norms’ La Cienega location...is a classic example of Googie architecture. 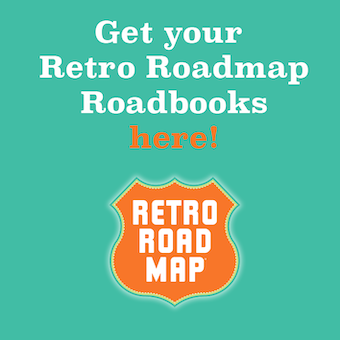 Designed by Eldon Davis of Armet Davis Newlove Architects in Santa Monica, it opened its doors in 1957 during the peak of the Googie trend and won the National Restaurant Association’s design award at that time. Currently, it’s the oldest NORMS still operating today, and on May 20, 2015, the Los Angeles City Council voted to add it to the list of Historic-Cultural Monuments. You can see a photo of the building at this linky here. Now back to KV's What makes THIS Norms the best? Is it the fact that the food is hot, fast and delicious. Yes. And that the diner is just down the hill from the Sunset Strip and their legendary rock clubs. Also yes. Many a rock star, actor and average Joe has enjoyed the late night eats. If these walls could talk. 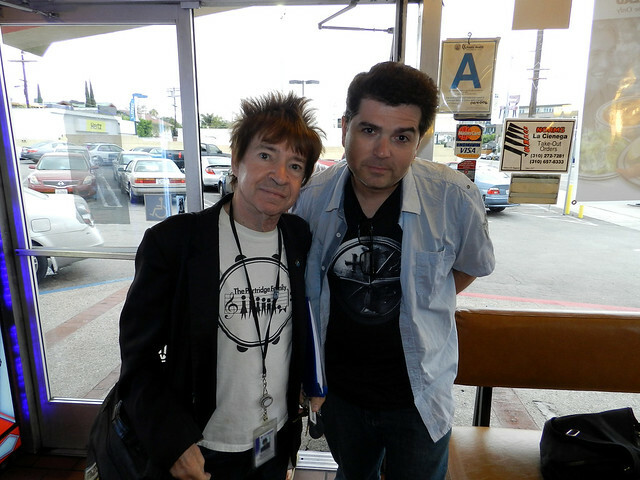 While there recently, I ran into legendary DJ/Club Owner and scenester, Rodney Bingenheimer. When you come to Norms be sure to come hungry. The portions are huge and come with lots of “Extras” all included in the low price. 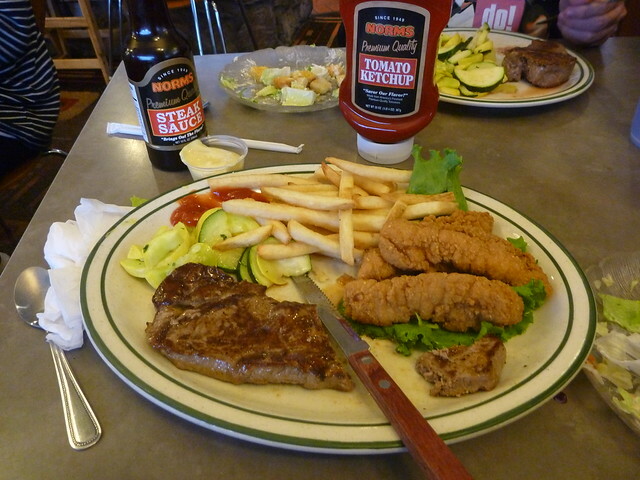 On this visit I ordered the steak and chicken fingers, a bargain at $13.99, that also included choice of potato, veggies, a salad and soup Good lord, it was a lot of food for under twenty bucks! And it was all fresh, hearty and satisfying. They are known for their breakfast specials, most famously the steak and eggs for under nine bucks. I have had many a breakfast at Norms and it is always a treat, even at 3 am. 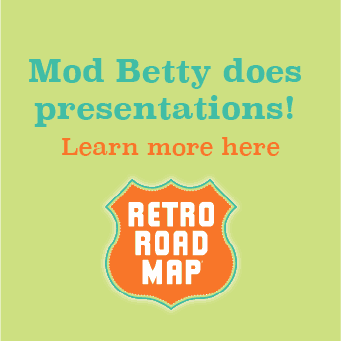 Many of you may have heard about the recent plans by a greedy landowner to knock down this classic building and replace it with a mini mall. Well fear not, that isn't gonna happen. I spoke to the manager Sean and he gave me the update. After a lengthy court battle, Norms gets to stay. They were recently declared a “Cultural Landmark” and as long as they are that and a working business, the wrecking ball will have to look elsewhere. The parking lot is another matter as the land owner has the right to develop it around Norms.  We'll keep you posted on that a things develop. Now if your spouse or vegan friends try to tell you eating at Norms is bad for you remind them you're not eating at a greasy spoon, you're eating at a historical landmark!